Christopher Hacker | The PHOENIX Loyola Campus Safety’s Rogers Park office is pictured. The Phoenix voiced its concern over the lack of communication between Campus Safety and Loyola students on Feb. 22. That was just a semester ago, but we need to voice it again. 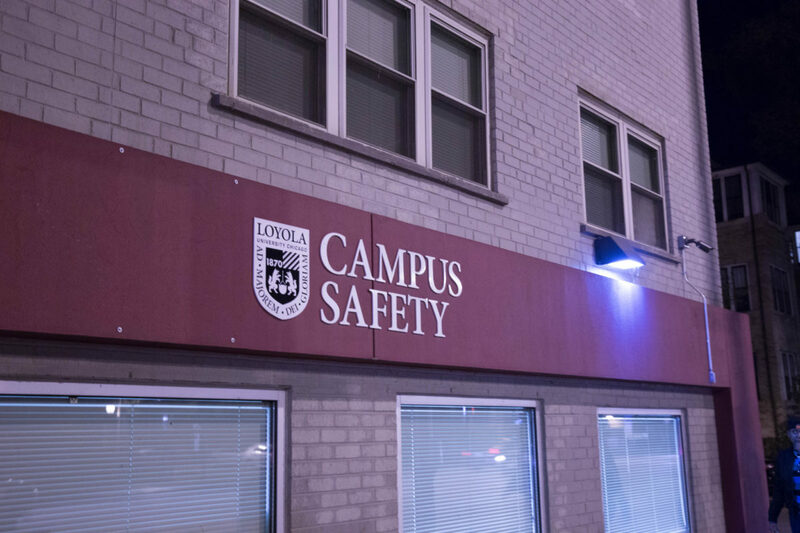 Campus Safety’s lack of transparency continues to be a problem and may be falsely painting Loyola as safer than it is. Campus Safety hasn’t released a crime alert — typically sent out via a campus-wide email — in six months, despite recording 18 violent crimes in its police logs since the start of the school year. These crimes include battery, aggravated assault with a firearm, assault, domestic violence, attempted armed robbery, sexual assault and unlawful use of weapon. On Oct. 4, The Phoenix reported a drive-by shooting near West Albion and North Lakewood avenues that occurred Sept. 4. A man was shot at multiple times while in his car but wasn’t hit. Campus Safety was aware of the attack and didn’t notify students via crime alert even though the off-campus incident was within jurisdiction, as it was not deemed an ongoing threat, according to Campus Safety Sgt. Tim Cunningham. The intersection of West Albion and North Lakewood avenues is only half a mile away from campus and near the same location Loyola graduate student Mutahir Rauf was shot and killed in 2014. The Sept. 4 shooting, handled by the Chicago Police Department (CPD), wasn’t recorded in Campus Safety’s police logs for at least 30 days after the incident. The Clery Act, which lists rules and regulations for Campus Safety, calls for all crimes to be recorded in logs within 48-hours of occurring. 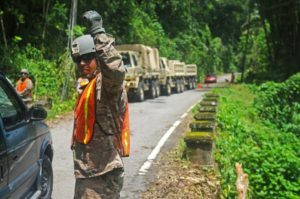 Campus Safety told The Phoenix the delayed logging was due to software issues when pressed for an answer but didn’t elaborate. On Oct. 13, a 64-year-old teacher, Cynthia Trevillion, was shot in the head and neck and killed steps away from the Morse CTA Red Line stop. Morse is just one stop north of Loyola and a common off-campus housing area for students. While the area is out of Campus Safety’s jurisdiction, the homicide occurred just outside of a CTA stop that students use every day. On Sept. 24, a 29-year-old male was shot multiple times in the 6800 block of North Sheridan Road, just five blocks from Lake Shore Campus. CPD responded to the incident, and students weren’t sent a crime alert. The incident happened only one block outside of Campus Safety’s jurisdiction. However, the offenders for these crimes still aren’t in custody, and Loyola students still haven’t heard from Campus Safety about them. How are unsolved shootings less than a mile away from campus not considered ongoing threats to students? A violent assault occurred even closer to campus over the summer, when an 80-year-old man was stabbed in the back outside The Morgan at Loyola Station, an apartment some Loyola students live in, just steps away from the Loyola Red Line stop and within Campus Safety’s jurisdiction. Campus Safety didn’t investigate the incident because the elderly man had no school affiliation and an arrest was made, meaning the threat was no longer classified as ongoing. They sent no crime alert. In the past, Campus Safety officers have told different Phoenix editors and reporters that crime alerts are generally sent out in response to incidents that directly involve Loyola students. The line shouldn’t be drawn at Loyola-affiliated crimes. While students are students first, they’re also members of the Rogers Park community. If a Rogers Park resident is the victim of a violent crime near campus, Campus Safety needs to inform the student body. These crimes are happening in areas that many Loyola students live in and frequent, but students may be unaware of the danger. Notifying students of areas that repeatedly harbor crime with regular alerts may help make them more alert of their surroundings in the future. CPD said Trevillion wasn’t the intended target of the shooting that abruptly ended her life. If she can be an unintended target, so can any Loyola student — as evidenced when Loyola student Khrystyna Trinchuk was shot in February 2016 outside her apartment in a gang-related incident. In a past email interview with The Phoenix, Sgt. Cunningham stated that he wants to make sure each alert is taken seriously, which means refraining from notifying students of every incident. Loyola is located in Chicago, known to have soaring crime rates. Naturally, it’ll have a higher number of crimes that take place than other college towns, resulting in more crime alerts. The Clery Act’s wording may be too restrictive for big-city schools, which means Campus Safety has the responsibility to step up and inform the student body. Campus Safety shouldn’t see notifying students of the accurate number of crimes that occur on and around campus as overexposure — it’s basic safety information. The lack of communication between Campus Safety and the student body is nothing new. Likewise it’s difficult for The Phoenix to communicate with Campus Safety. Unanswered calls and emails have become commonplace, and we’ve had trouble following up with them about crime reported in police logs. If change doesn’t occur in the near future, there are ways for students to stay informed, such as reading and listening to the news, checking police logs and attending community meetings. We encourage students to seek this information out on their own. However, while these individual efforts can be effective, it’s not realistic to expect students to scour police logs or attend meetings in their free time. Between classes, extracurricular activities, work, internships and social life, many students simply don’t have the time to stay on top of this information. It’s Campus Safety’s job to alert students of crime in and around campus. 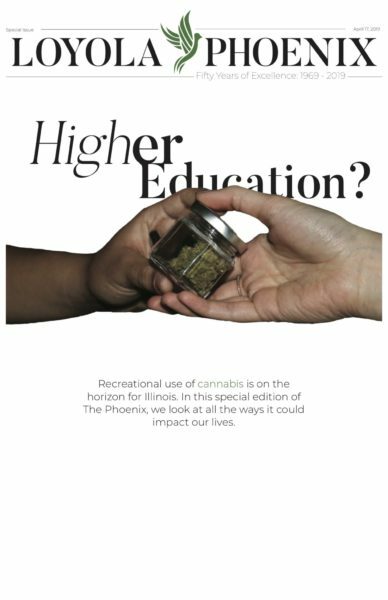 If Campus Safety won’t alert students of local crime and its lack of transparency is hindering The Phoenix from reporting it for them, then students aren’t getting an accurate picture of how safe the area is. If no one is asking Campus Safety the tough questions, this will only continue. We have now broached the issue twice in one year and will continue to do so until we see change. STAFF EDITORIAL: Where Is Loyola Going To Put The Next Freshman Class? How can getting caught smoking weed at Loyola impact you?